At the age of six, Mozart toured to Vienna with his father and sister and played the harpsichord in the court of the Empress Maria Theresa. Felix Mendelssohn was nine years old when he first performed in public on piano and ten at the first public performance of one of his compositions. Saint-Saëns made his debut as a pianist at the age of ten, astonishing his audience by playing from memory, piano concertos by Mozart and Beethoven. The Spanish composer Isaac Albéniz began a long career as a virtuoso pianist with a debut at age five. The precocious musical talent of these composers is the stuff of legend but their works in later life – including Mozart’s Clarinet Quintet, Mendelssohn’s Overture to Midsummer Night’s Dream, Saint-Saëns’ Introduction and Rondo Capriccioso, plus El Albaicín and Málaga from Albéniz’s masterwork, Iberia – confirm an enduring genius. A notable prodigy of more recent times is also represented on Friday’s program. The 20th century American composer Samuel Barber wrote his first work at the age of seven and composed an operetta three years later. His devotion to melodic line and classical tradition is evident in his Cello Sonata of 1932. Saturday’s program celebrates the musical idioms of 20th century America, their singular rhythms and sounds. From the unlikely juxtaposition of cool blues and country jauntiness in Aaron Copland’s paired Nocturne and Ukulele Serenade to the nostalgic reflections of John Corigliano’s Snapshot for String Quartet, the program highlights the influence of uniquely American voices and instrumental styles. The six pieces from John Adams’ John’s Book of Alleged Dances move from bluegrass to jazz to Latin beat against a backdrop of a taped rhythm track. Mark O’Connor’s Appalachia Waltz evokes traditional melodies and fiddle styles. Aaron Jay Kernis’ lyrical Air, written for the violinist Joshua Bell, displays the deeply felt response to a personal world that characterizes many of Kernis’ compositions. Peter Schickele’s comic alter ego, P.D.Q. Bach, is nowhere evident in his fine Quartet for Clarinet, Violin, Cello and Piano. Alternately dreamy and fast-paced, the work suggests the grandeur and energy of the American landscape. 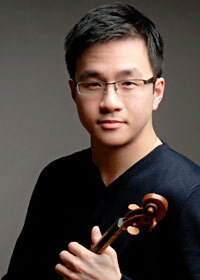 Sunday’s program features three glorious works from the chamber music repertoire. Claude Debussy wrote his Première Rhapsodie for clarinet and piano as an examination piece for the Paris Conservatory; its beauty and dynamic range have made it a favorite of clarinet virtuosos and their audiences. Johannes Brahms published his Piano Trio in B Major when he was just twenty-one and an impassioned Romantic. Thirty-five years later he revised the work, tempering its excesses but leaving intact its intensity and expressiveness. The Piano Quintet in C minor was the first published composition of the Hungarian pianist, conductor and composer Ernő Dohnányi. Written in 1895, an early expression of the Romanticism that infused all his compositions, the work is moody and majestic; an enduring masterpiece. To add to the excitement, the Summer Solstice Festival will be sponsoring two community outreach performances. 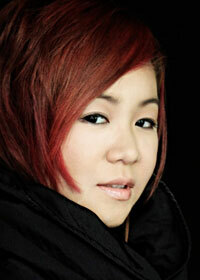 Judy Kang will be performing at the The Works Festival of Art and Design. The performance will be on main stage at The Works Festival site on Churchill Square. 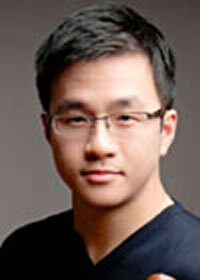 Andrew Wan, Adrian Fung and David Harding will be performing at the CBC Centre Stage in City Centre Mall. Bring your lunch and get a free taste of the Summer Solstice Festival programming. If you are interested in performing, please contact Patricia Tao.